he SCOPIA XT1200 delivers the perfect blend of value and a high quality experience, making it stand out amongst the competition. The SCOPIA XT1200 is a high-end system without a high-end price tag. The XT1200 supports dual 1080p/30fps live video and content. The system delivers 20 kHz CD-quality audio and includes a beam forming digital microphone pod to isolate the speaker from the noise. The ultimate IT-6050 SUF BT is the Home Speaker that you simply must-have! Crystal clear, noise free and superior Surround Sound is delivered by the set of these exotic 5.1 speakers. 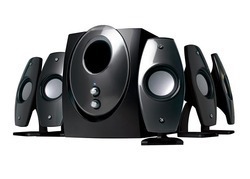 Elegant looks, exquisite design, mesmerizing music, get the gorgeous IT-6050 SUF BT speakers today!